Could my soft-spread margarine be contributing to rain forest destruction? It might not be on everyone’s radar, but palm oil in consumer products is now nearly unavoidable. It is found in some margarines and in about half the packaged products sold in U.S. grocery stores, including popular snack foods like ice cream, cookies, crackers, instant noodles, peanut butter, cereals, and potato chips. Add personal care products to the mix — everything from shampoo to toothpaste — and you will find palm oil products in nearly every room in your house. Why so much palm oil? It is semi solid at room temperature and does not have to be hydrogenated. It keeps well and is stable at high heat. In many products it replaced unhealthy trans fats. Rainforest Action Network has coined the term Conflict Palm Oil to describe palm oil that is grown on plantations that destroy forests, exploit workers, and endanger animals. “In rainforests half a world away from the United States, orangutans are making their last stand for survival. Scientists warn that these gentle and intelligent animals, among humankind’s closest kin, could become extinct within our lifetime if their rain forest homes continue to be destroyed for palm oil plantations. But the primary threat pushing them toward extinction lies much closer to home than you may think: you’ll find it hidden in the snack food aisle of your local grocery store, and likely in your own shopping cart. Rainforest Action Network reports that its Snack Food 20 campaign has marshaled consumer support to convince some of the biggest snack food giants such as Kellogg’s, Mars, Mondelez, Hershey’s, General Mills, ConAgra Foods, Smucker’s, Krispy Kreme, Dunkin’ Brands, and Grupo Bimbo to have strong responsible palm oil policies. 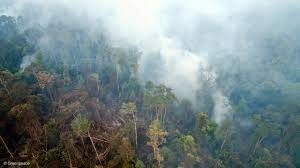 They have been urged to commit to only using responsible palm oil produced without causing the destruction of rain forests, carbon rich peatlands or the abuse of human rights. Contact PepsiCo through their website to ask a question! Did you find a favorite product containing palm oil? 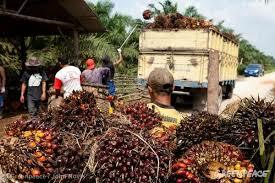 Go the to the company website and check out their palm oil policy. Ask questions!